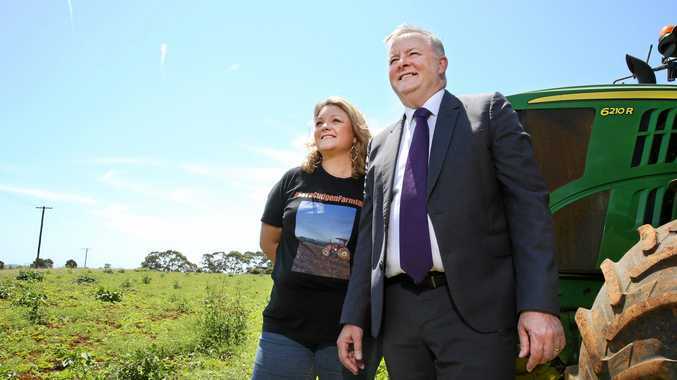 FEDERAL Opposition Infrastructure Minister Anthony Albanese says the selected site of the $534 million Tweed Valley Hospital on State Significant Farmland at Cudgen is the result of "planning gone wrong". 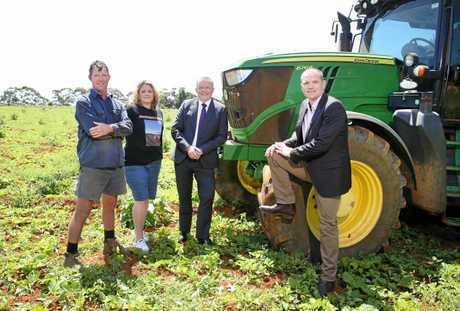 During a press conference at the hospital site today, Mr Albanese slammed the State Government for selecting the land on the red soil of Cudgen "at a time when we're talking about the need to support farmers". 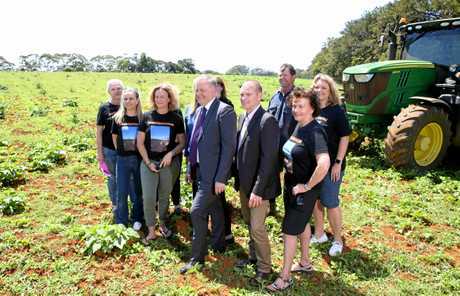 He was joined by Federal Richmond MP Justine Elliot and her husband and State Labor candidate for Tweed, Craig Elliot. Mr Albanese said the hospital would change the character of Kingscliff while opening the area up for "Gold Coast-style development". "This is an example of planning gone wrong," he said. "Here we have prime agricultural land that is so important for our national economy and also for local jobs, and yet they want to convert this into a hospital site. "There is no doubt in my mind that this is aimed at opening up over-development and changing the very character of Kingscliff." Mr Albanese said as the shadow tourism minister, Kingscliff should be preserved for its "unique tourism experience". "This area provides a unique tourism experience, we don't want it to compete with the Gold Coast," he said. "What you want is different tourism experiences up and down the coast, the Gold Coast provides that high-rise experience that people want with the density of restaurants and activity. "This is a very special place and it's important we keep what makes Australia special." Relocate Tweed Valley Hospital leader Hayley Paddon said a protest rally outside Tweed MP Geoff Provest's office tomorrow was aimed to force him to "stand up and face the community". "Our hopes for the rally are to get the community to stand up and show the National Party and Geoff Provest and Brad Hazzard that we are not happy as a community to have this site concreted over and show we're not a party of five people, we're a party of thousands of people," she said. "He needs to stand up and face the community as our member and stand and take the questions from the community that we have about this site. "There has been no transparency and this community deserves answers." Mr Albanese visited the Tweed in support of Mr Elliot's election campaign, hosting a fundraising dinner at Cudgen Headland Surf Club overnight.